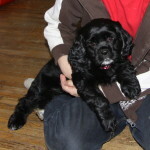 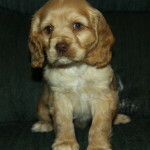 Home / Breeds / Cocker Spaniel Puppies / American Cocker Spaniel Puppies! 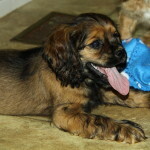 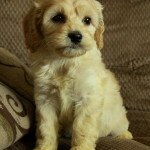 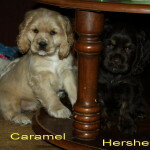 Gorgeous American Cocker Spaniel Puppies for sale! 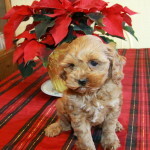 American Cocker Spaniel puppies are an amazing family friendly breed of dog that is suitable for many different living situations. 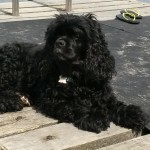 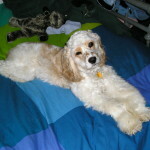 The Cocker Spaniel is very friendly and out-going when socialized properly from a young age, and makes a wonderful companion dog, for the single or family home. 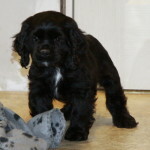 The American Cocker Spaniel puppy can come in different colourings. 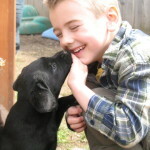 There are solid colours possible, as well as parti colouring (where large portions are white with solid blocks of colour), as well as sable colouring (brown/black mixed together). 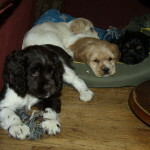 Cocker Spaniel puppies can be English or American, and the differences are many between the two. 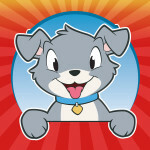 Size, hair type, shedding, snout shape/size, facial features and even ears are all different between the two. 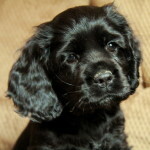 American Cocker Spaniel puppies typically mature between 22-28lbs on average. 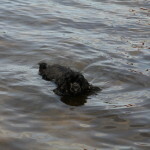 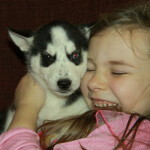 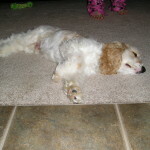 They are a shedding dog and do not do well with people who are allergic to dander. 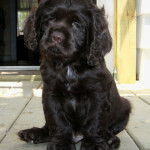 They average in height between 14-16 inches at the withers, with males typically being a little taller than the female Cocker Spaniels. 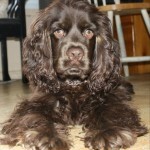 There are some common potential health concerns with Cocker Spaniels, as with all pure breeds. 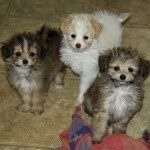 Luxating Patellas (loose knee caps) is one of the more common issues. 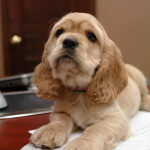 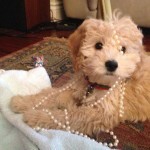 Proper health care, attention to weight and regular puppy exams will help. 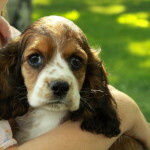 Possible eye issues such as glaucoma, cherry eye and others are also found in Cocker Spaniels. 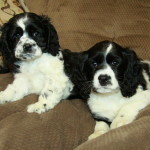 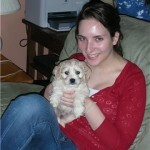 Routine health care with your vet is important with Cocker Spaniels, as with all puppies/dogs. 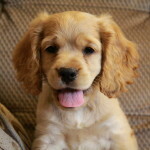 The average life span of a Cocker Spaniel is 12-15 years, depending on love and care provided. 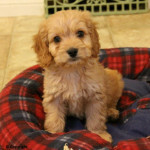 American Cocker Spaniel puppies tend to do exceptionally well with crate training, when you follow the tips provided in the link. 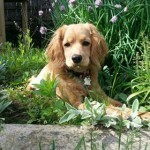 Dogs are den animals and love to be in small spaces that make them feel safe. 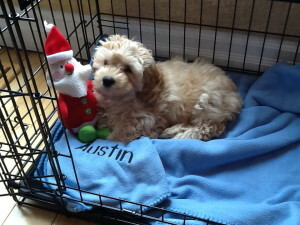 A comfy blanket or crate bed and a safe dog toy are a great addition to the crate to help your puppy adjust. 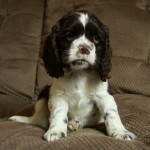 When properly crate trained following our tips provided, your Cocker Spaniel puppy will be quickly, easily and happily adjusted in no time!